Welcome to Port Allegany Jr.–Sr. 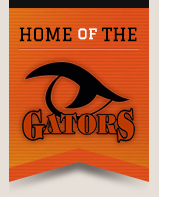 High School, home of the Gators. We’re located in Port Allegany, Pennsylvania, with a school community comprised of an amazing group of students, parents, teachers, and families. We strive to provide an outstanding education that gives students the skills they need for success in school, in college, and throughout life. Our curriculum allows students to explore and learn as they participate in a variety of extracurricular programs and activities. We invite you to explore our website, where you can learn about the terrific people and programs that make our school special. On behalf of the teachers and staff, I would like to welcome you to our online home. The Port Allegany Jr./Sr. High School Staff and I have been working hard to fulfill our mission to be a premier provider of innovative educational services. We consider it a privilege to work with your children. I encourage and invite all students, parents, and family members to become involved in our school community. Please join us at our many extracurricular activities that are held throughout the year. We also encourage students to explore our great variety of clubs and organizations. Thank you for visiting our website. We hope you will return often to check out our latest events and news.